“The Midwest is rising,” writes Minnesota native Amy Thielen – and her engaging, keenly American debut cookbook, with 200 recipes that herald a revival in heartland cuisine, is delicious proof. Amy Thielen grew up in rural northern Minnesota, waiting in lines for potluck buffets amid loops of smoked sausages from her uncle’s meat market and in the company of women who could put up jelly without a recipe. She spent years cooking in some of New York City’s best restaurants, but it took moving home in 2008 for her to rediscover the wealth and diversity of the Midwestern table, and to witness its reinvention. 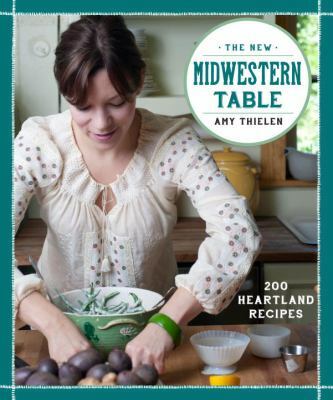 The New Midwestern Table reveals all that she’s come to love – and learn – about the foods of her native Midwest, through updated classic recipes and numerous encounters with spirited home cooks and some of the region’s most passionate food producers.